Microdermabrasion is a non-chemical skin treatment using crystals for gentle abrasion and exfoliation to remove dead skin cells. This reveals healthier skin while reducing impurities, and clogged pores. 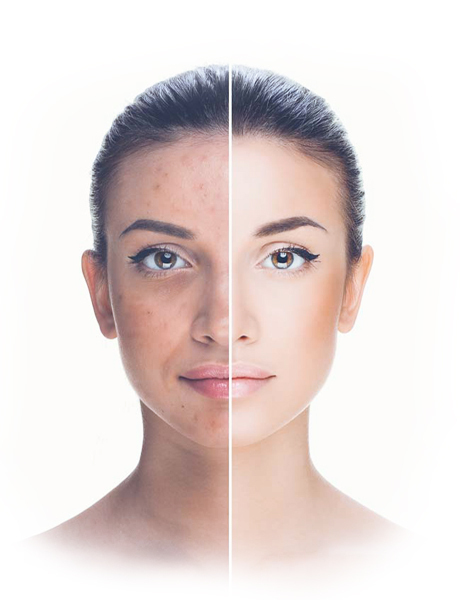 This treatment can prepare the skin for laser treatment and complement the results from your laser treatments. Microdermabrasion is really a general term for the application. Its tiny rough grains buff away the surface layer of skin. Many other products and treatments use this method such as medical procedures, salon treatments and creams and scrubs that you apply yourself at home. It’s usually done to the face, chest, neck, arms or hands. Your skin is made up of two main layers, the epidermis and the dermis. The epidermis is the layer closest to the surface. It’s a set of dead skin cells on top of another layer of cells. This layer is in the process of maturing. The top layer is called the stratum corneum. The stratum corneum acts like a barrier between the surface and the lower skin layers. It keeps all but the smallest molecules from getting through. Microdermabrasion acts at the level of the stratum corneum. It only really targets the epidermis. Otherwise, it would affect deeper layers of skin which would be painful and harmful, and would risk permanently embedding the tiny grains into the skin and destroying skin smoothness.